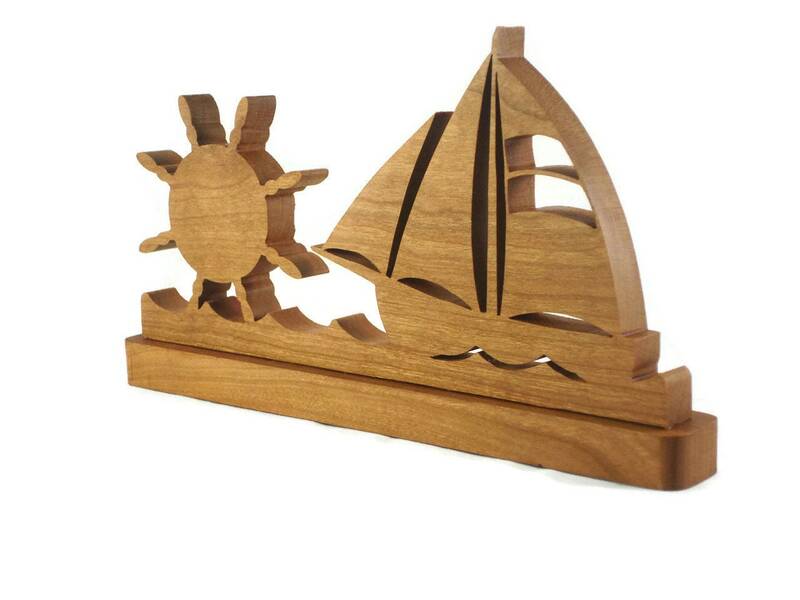 If you or someone you know loves to go sailing then this is the perfect gift to give yourself or a friend. 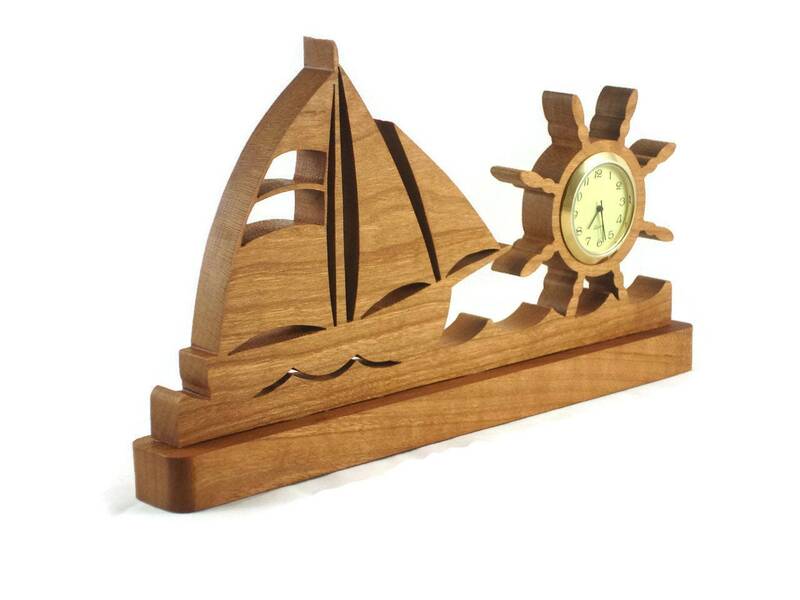 This gone sailing sailboat clock was cut by hand ( handmade ) from 1/2 cherry wood using a scroll saw. 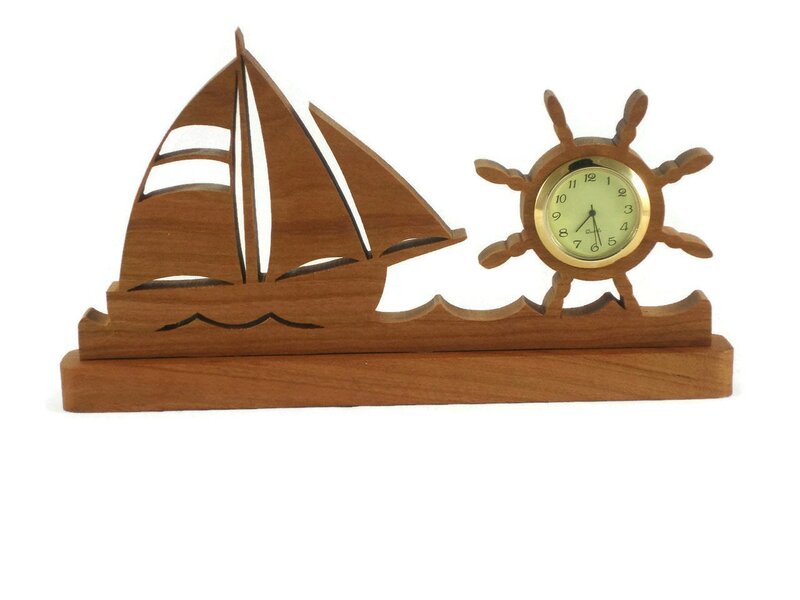 This clock features a image of a sailboat set sail on the left side, with a helm ( steering wheel ) to the right with the 1-7/16" mini clock insert. This is mounted to a base for stability for those times that something bumps your desk. This is finished with my special homemade blend of all natural bees wax and mineral oil mixture. This finish not only brings out the natural beauty of the wood but, it also protects its natural beauty for many years of enjoyment. 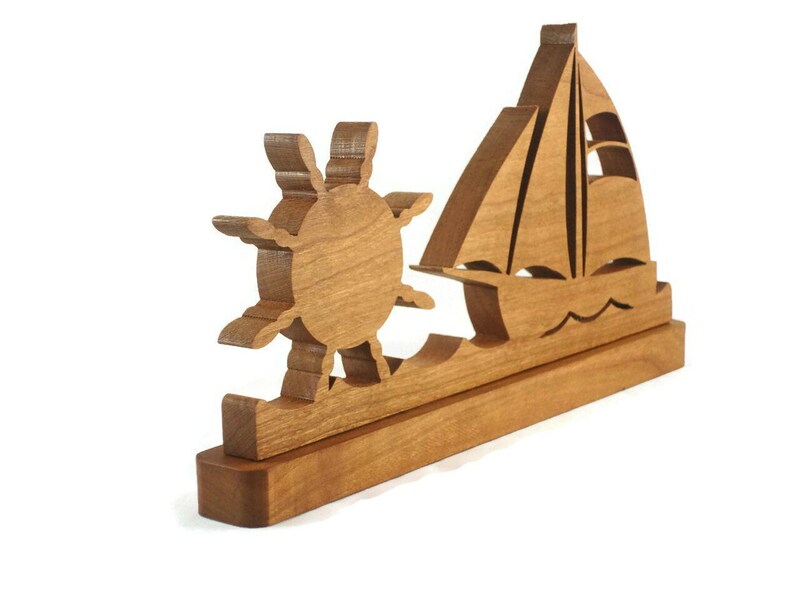 Finish also gives the wood a soft silky smooth feel to the touch. 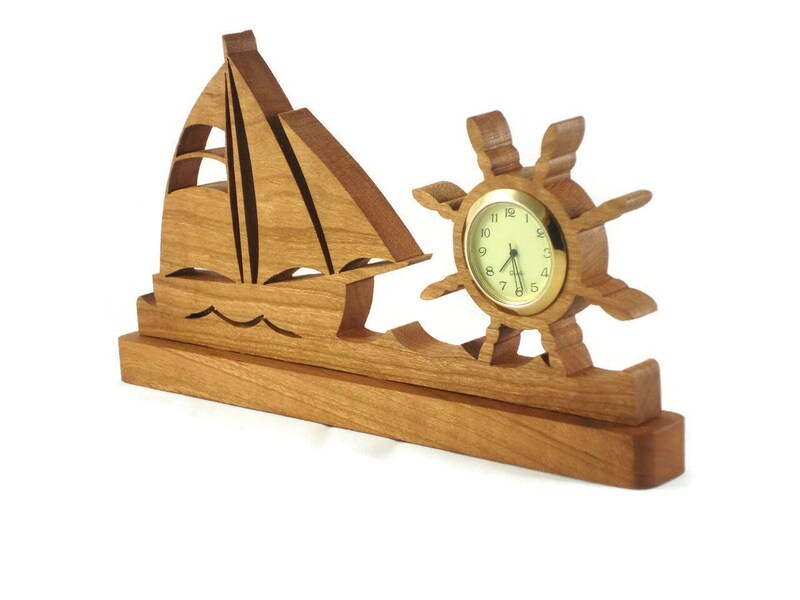 The 1-7/16 Quartz mini clock insert features a ivory color face with black Arabic numbers. A glass lens covers the face with a gold plated bezel / trim. A stainless steel battery cover on the back side covers the newly installed button battery. Clock is ready for you to activate it.